Important Reminders:Happy Rosh Hashanah! To all celebrating, have a sweet new year! Thursday, October 6th – All School Picture Day! Get your haircuts and outfits picked out – but more importantly, turn in your order slips (these went home in 1st day packets)! Friday, October 14th, is NO SCHOOL Teacher Professional Development. Please note that this date is not listed and should have been in our published school calendar. Walktober is a month long campaign where students commit to walking, biking, scootering, unicycling or riding the bus to school. Any non motorized, active commute to school counts. Your small actions can make a difference. You will help reduce traffic around the school, making us all more safe. Research show that kids who walk to school are more focused in class and do better in school. For every mile you walk or bike a pound of pollution is reduced. Tracking calendar was sent home and extra copies can be picked up at school. Stay tuned for more info on our Kick-off Event! JOIN THE PTA – NOW! Right now is our fall PTA membership sign up! Why be a member? Together the parents and teachers at our school work to ensure our children have a safe and fun place to learn. The PTA helps provide tutoring, field trips, STEAM night, and so much more! The more members, the more we can accomplish – together! Did you also know as a member you are eligible to receive discounts at serval business local and nationwide? You can send cash or check in your white envelopes that went home in the first day packets. Please let Alison White at [email protected] know if you have any questions. Your support as parents is what makes Laurelhurst the wonderful place it is. Parents needed: Are you interested in serving on a hiring committee? If you are interested in serving on an upcoming interview team, but have not yet been trained, please plan to attend one of the Site-Based Interview training sessions. Please be aware that ALL persons involved in the sitebased interviewing and screening must have attended this training. Sessions are open to all administrators, certificated and classified employees, as well as parents, students and community representatives. If you know staff or community members who might be interested, please alert them. Calling All 4th Grade Families! October is your month to donate to our school Backpack Brigade program! Would it surprise you to know that subsidized school lunches are the main source of nutrition for thousands of Seattle Public School students? Do you wonder what the weekend might look like for child with no reliable food source?…Or how Monday mornings might feel on an empty stomach? Backpack Brigade (our partner) is committed to sending these kids home with a backpack full of healthy, convenient food every single weekend. At Laurelhurst we are assigning each grade with the task of filling our food donations bin (located near the front office), or submitting checks (envelope in office) with proceeds benefiting our own Laurelhurst students in need of these essential backpacks. Get your kiddos involved and have them help you pick out items either in your pantry or at the grocery store. If it’s easier to write a check, make it out to “Backpack Brigade” and write in for Laurelhurst Backpacks (envelope in office). Just $25 can fill 4 backpacks each consisting of 5 meals, snacks, milk and juice. Thank you to everyone who’s donated so far! New PTA Sponsored Math Enrichment Program for Laurelhurst Elementary! Math Challenge is designed to gives elementary students opportunities to sharpen their mathematical problem-solving skills. There will be 15 sets of challenges every other week starting last Friday September 30th and ending at the end of May. Throughout the challenges, the program covers problem solving strategies such as draw a picture or model, make an organized list, look for a pattern, working backward, and guess and check. All grade levels can participate. The number of problems required vary per grade level! 1. Go to our school Math Challenge page athttp://www.mathinaction.org/laurelhurst-elementary.html. Print out the current Math Challenge. 2. Solve as many problems as you can (more than you are required to do ). We encourage you to discuss strategies and solutions with your parents and siblings. 3. Submit your solutions in the basket by the office window by the due date. 4. Check if you win a prize. Prize winners are randomly selected from qualified submissions. Announcement will be on Monday following the due date. The first due date is Thursday October 6, 2016. We will keep track of your submissions. We give recognition to students who at least complete 12 sets of challenges. The program is completely free and no sign-up is necessary. This is a great opportunity for families to be involved and enjoy math through fun and engaging math problems. We encourage parents and siblings to get involved in discussing and solving them. Schedules and problem-solving strategies are available atwww.mathinaction.org. Be part of the PTA’s Reflections Program! Entries from all grades and all abilities welcome. The theme this year is…. The PTA provides the following tools to help make participation in this National PTA and WSPTA Cultural Arts Competition fun and easy for students and parents alike. The form for signing up will be available in the library for parents to pick up and children who are interested will also be able to take a form home after the Creative Workshop. Students will have the opportunity to explore ideas about this year’s program theme, ‘What Is Your Story?’ with the one and only Mr. Brown during their classroom Library time. There will be a worksheet available for their use to support them in organizing their thoughts and exploring ways they might express themselves. If you would like to assist in your child’s class during library time, please let me (see email address below) or Mr. Brown know. This year the PTA is providing only the Rules and Artist Card to participants. The PTA will also provide assistance readying those projects (mounting artwork, filling out forms, etc.) moving on to the City level of the competition. As always if any child needs financial assistance with materials, please contact me (see email address below). Sign-up forms should be returned to the library. The Rules for your child’s category of choice and an Artist Card will be available to be picked up from the library at that time. Final artwork will be submitted to the library. 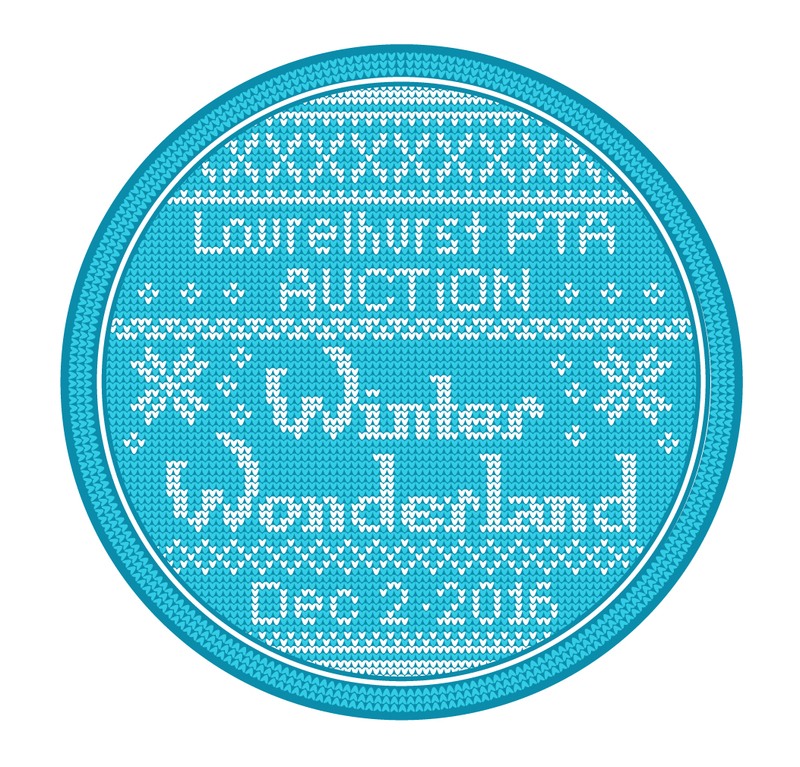 You can also find reminders and updates in the Laurelhurst PTA News and website! Questions? Contact Ann Buratto at [email protected]. Laurelhurst Elementary will be hosting their annual Kids Carnival on Friday, October 28th from 5 to 8 p.m. Join the whole community for a great night of festive games, activities, prizes and dinner! Stop by the Auction Procurement Board and pick up or donate an auction item! We Need Class Project Leads! The Class Projects are a staple of the auction and an innovative way to involve the kids in the fundraiser. Help your child’s class create their masterpiece by stepping up as a class project lead. You pick the project. You decide what parents will bid on! Contact Ann Buratto, [email protected]. Good News on Growth Boundary Changes! 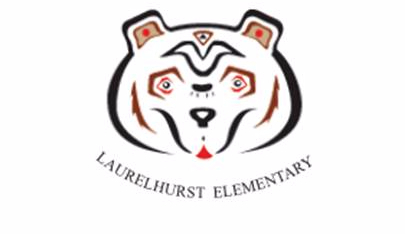 In 2013, the district voted to add two additional attendance areas to Laurelhurst beginning in the 2017-18 school year. Last spring the district asked the community for input regarding these changes. As a result of the community and school administration input, the district has revised their initial recommendation and is now proposing NO new attendance areas to our existing school boundary. The School Board is expected to vote on this amendment on November 2nd. We are asking for your support at our community meeting this fall to ensure that the School Board approves the new recommendation. Additional information can also be found on the Growth Boundaries website. Monday, Oct. 3, 6:30-7:30 p.m.
Tuesday, Oct. 11, 6:30-7:30 p.m.
Sign up is now available for LASER day camp on Friday, October 14th. Day Camp will be held at our Bryant location from 7am to 6pm. 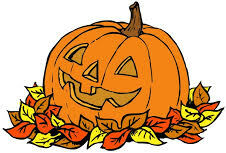 We will be going to the pumpkin patch at The Farm at Swan’s Trail in Snohomish. The cost is $50 per child (which includes the cost of the field trip and transportation). You do not need to be in the LASER program to sign up, but a child must be between the ages of 5 to 12 years old to attend. If your child does not attend LASER, there is additional paperwork that must be completed and received before your child may attend camp. Please drop off children by 10:00 am. Children should bring a nut-free, non-perishable bag lunch and weather-appropriate clothing. The deadline to register for camp is Wednesday, October 12th at 6:30 pm. For any desired sign ups after this time, you will need to contact us directly at[email protected]. If space is available, you will be charged $60 per day for camp. You must cancel by Wednesday, October 12th at 6:30pm or you will be charged for camp. LASER does not provide refunds for sickness or non-attendance. The Saturday Program is offered to students who are currently in grades 2-8. These classes are intended to provide students with challenge, inspiration, and fun, in a collaborative, supportive learning environment. During the fall quarter courses will be available in creative writing, poetry, philosophy, biology and astronomy. Registration is now open. Classes begin on Saturday, October 15th and end on December 10th. This program is FREE to any child who receives free or reduced lunch! Pre-Season Player Development Programs (Ages 6-15) – starts next week! Meadowbrook CC (Saturday Mornings) begins November 5th! – On your day off from school, don’t stay home bored, come get BETTER! Space is limited…check the schedule of classes below and register today! Submissions for the next PTA newsletter due by Fridays at Noon. Email submissions to [email protected]. Please email submissions as you would like to see printed in the body of the email. Questions for your PTA Leaders? Copyright © 2016 Laurelhurst PTA, All rights reserved. Too many newsletters? You can unsubscribe. ©2014 Laurelhurst PTA Wordpress All rights reserved.